Many people do not think much about the dentist until they have something go wrong with their teeth. However, when you wait to visit the dentist, it generally means you have more issues that you will need to care for and treat. It is a much better option to start utilizing preventative dentistry techniques now. You can learn more about general dentistry and why it is so important for you and the other members of your family. 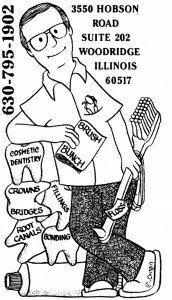 Of course, many do not know everything that general dentistry encompasses. What Can General Dentists Provide? When you have a good general dentist, they can offer cleanings for your teeth. You should be sure to get a cleaning at least two times per year. In addition, they will provide you with an exam that will look for any potential issues that you might have with your teeth. This could include x-rays and oral cameras in some cases. The goal of the exams is to make sure there are no looming issues that could get worse if untreated. During the cleaning, the dentists will also examine your gums to make sure you are not suffering from the early stages of periodontal disease. If the dentist notices anything that is out of the ordinary or that could be a problem, they will let you know and will let you know what else you need to do. They can let you know about your treatment options and all the choices available thanks to modern dentistry. If you would like to know more about how a general dentistry professional can help you and the various types of services they can offer, it is time you got in touch with our dentists in Woodridge at Machnowski, DDS. You can call us at 630-795-1902 and you can visit the contact page on our site.